SeaWorld loves to talk about how the well-being of its orcas is most important and how it's an educational institution above all else. 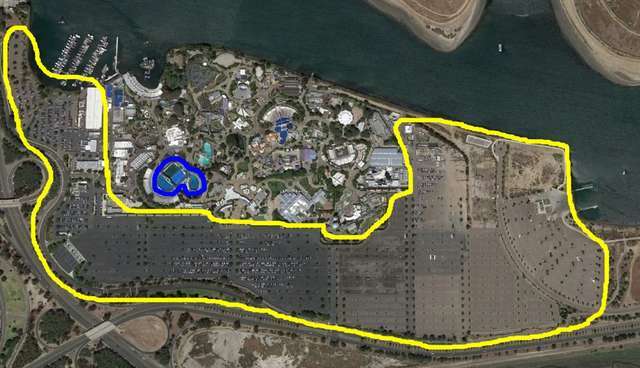 So we decided to take a look at SeaWorld and see how things really stand - and exactly how important the orcas were when it came to park planning. Here's what we found. 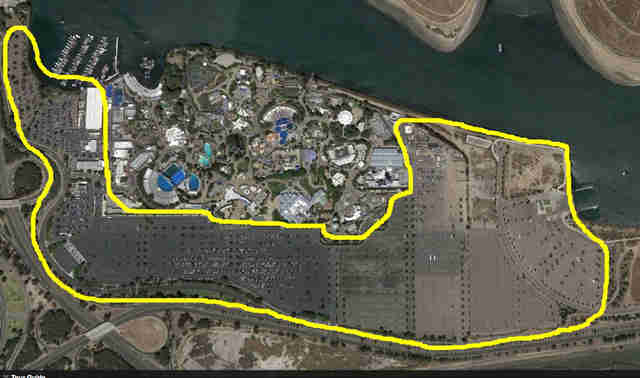 This is SeaWorld's parking lot. This is SeaWorld's artificial lake. And this is where seven orcas live. Yes, seven huge orcas live here. The oldest, Katina, hasn't seen her home or family since she was captured off the coast of Iceland in 1978. She's lived in a small tank for 37 years. 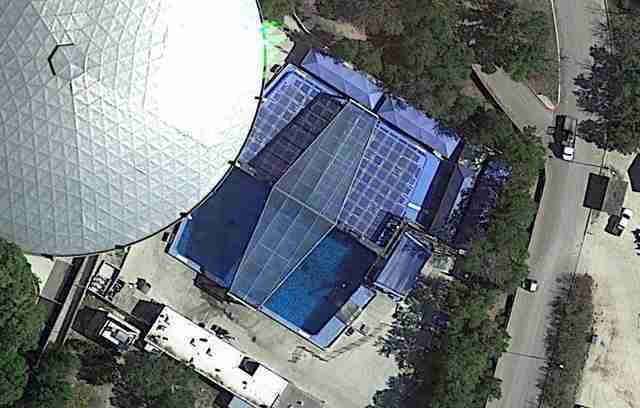 Tilikum also lives here. He hasn't seen his home since he was captured him 32 years ago, and the frustration has led to him killing three people. Here's where the orcas live. 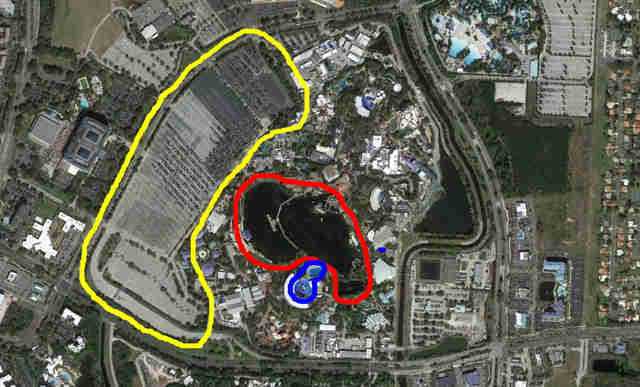 Oh wait, that's the artificial lake SeaWorld built so it could put on waterskiing shows. Here's where the orcas live. The blue part outside is where they live - the white part is where they perform and also holds all the audience seating and the stage sets. At least they have as much room as the water slides and roller coasters - right? This is where six huge whales have spent their lives. The oldest, Kyuquot and Takara, have been living in pools this size for 24 years. They have never seen the ocean. Here's how much space the cars have. Here's how much space the orcas have. 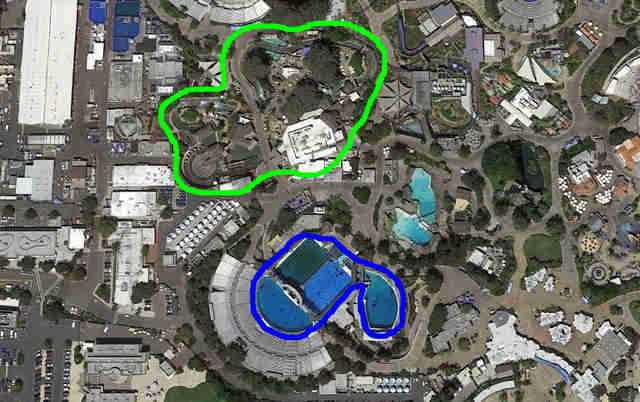 The orcas live next to a water rapids ride. Guess which was most important? 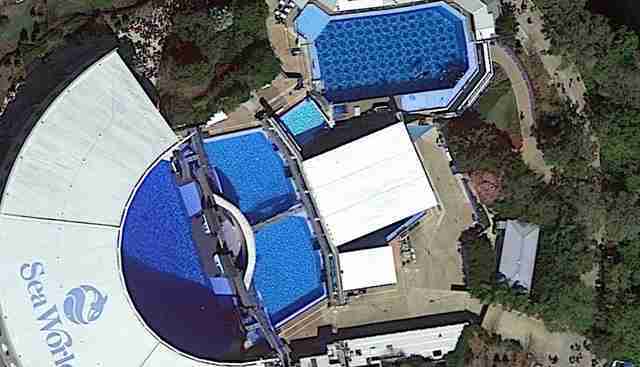 This small pool is the entire world to 11 orcas. The oldest, Corky 2, was captured from her family 46 years ago. She hasn't swum more than a few lengths of a pool since. Of the 11 orcas who live here, eight have never been beyond these walls. This is what their home should look like. 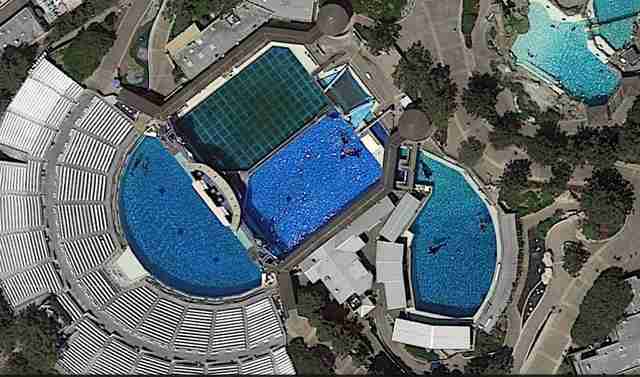 For more reasons why whales don't belong in SeaWorld, click here. 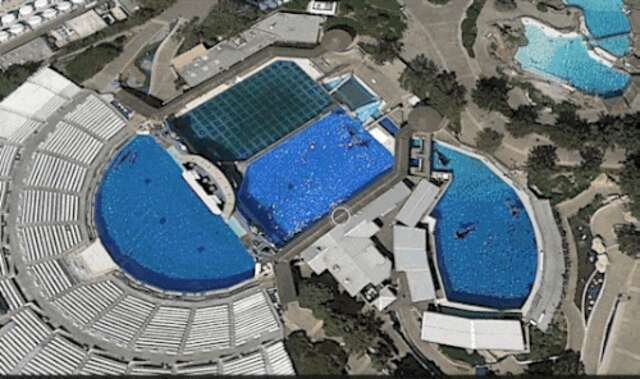 Correction: An earlier version of this article mistakenly said that SeaWorld had directly captured Tilikum and Katina. 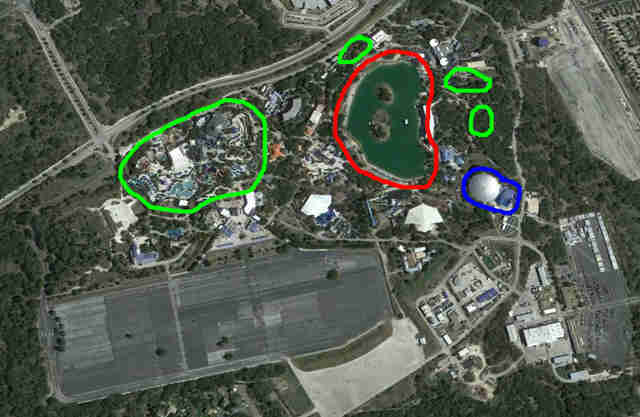 They obtained them from other parks.